In the technologically advanced world in which we live, it is now easier than ever to copy something that someone else has done. Fake or counterfeit products exist in all different product lines from alcohol to clothing; toothbrush heads are not an exception. Generally the intention for the creator or seller of the fake/counterfeit is to make larger profits from selling a very good copy rather than the original. Typically fakes or counterfeits can be produced cheaper and sold cheaper but often lack the quality, reliability and benefits of the original. It can be very difficult to spot what is fake and what is genuine, but there are a few signs to look out for which we explain below. We must also point out that there is a difference between fake/counterfeit and compatible third party replacement brush heads. Fakes will normally have all the same or almost identical characteristics to the originals, including manufacturer branding and in all intents and purposes appear to be real. 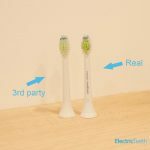 Third party, compatible brush heads will not have the Sonicare brand logo or packaging that implies it is made by Philips Sonicare, there should be some more obvious differences. That said, there is a bit of a blurred line between these as even though some brush heads are sold as ‘compatible with’ Philips Sonicare and may not be a true fake, the colours and head design look so similar that it is easy to believe or misinterpret them to be genuine. Just before we go into more detail into how you can spot a fake Sonicare brush head, we would like to point out where you can buy them online, safe in the knowledge that they are the real deal. 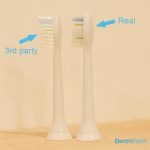 We often link to various brush heads throughout our reviews, but we also have a post that compares Sonicare brush heads. In this post we link to the various brush heads on Amazon. 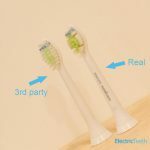 These are official Philips Sonicare brush heads, so if you buy these you can be sure that they are not fake or replica. 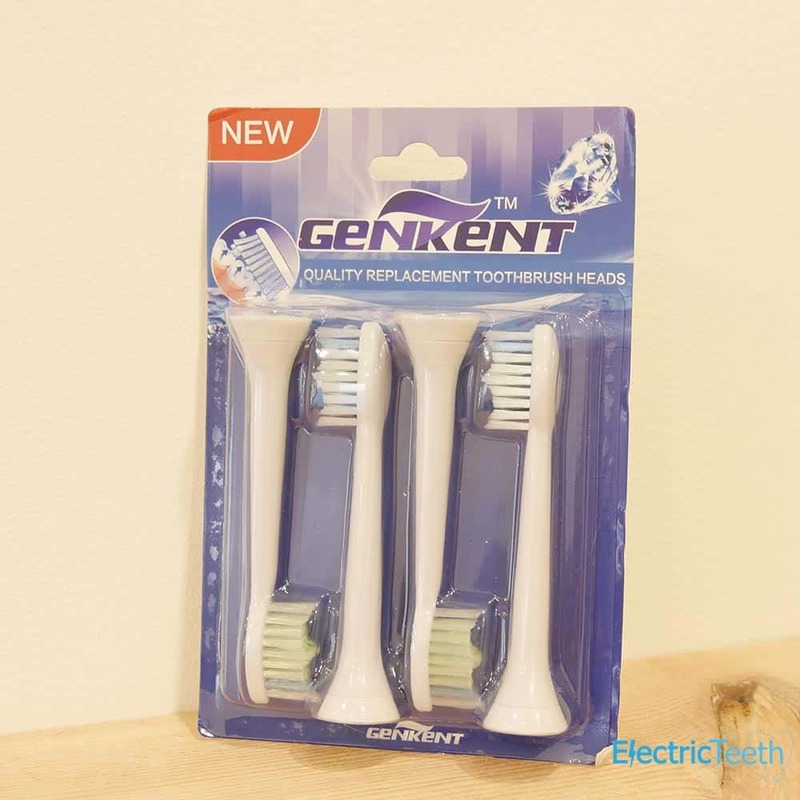 You will also find other reputable retailers stocking these too, including Boots, Sainsburys, Tesco and more. The good news is that the number of fake brush heads available for Sonicare on the whole would appear to be less than with the likes of Oral-B. 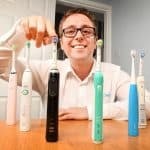 Check out our fake Oral-B brush heads article for more info. Many retailers and online marketplaces have cracked down on the sale of counterfeits and even on the high street, things have improved over time as organisations like trading standards are getting better at checking and closing down potentially dangerous counterfeit sales operations. As we mentioned previously though, even those that are sold as compatible with rather than being the real deal, can easily be considered the real deal unless you are a bit conscious of what to look for. We can be easily led into believing we are buying the real thing when it is in fact a fake. At times, many of us will knowingly buy the fake as there is a cost advantage to doing so. Most of us have been there or know someone who has, there can be one major advantage, cost. Sadly there are often disadvantages such as quality. When it comes to buying any product we can be easily led into believing we are buying the real thing when it is in fact a fake. At times, many of us will knowingly buy the fake as there is a cost advantage to doing so. Most of us have been there or know someone who has, there is no shame in it. When products are in demand and there is a big market for fake versions of the original. Some people choose to take advantage of this and the only loser is you as the buyer. Why spend £250 on that lovely Michael Kors handbag you have seen in your local department store, when you can get apparently the same one for £30 from a guy at the market. £60 for a Ralph Lauren polo shirt; but just £5 for the same thing from a small shop you found on holiday. The same goes for electric toothbrush heads. Long term, purchasing a fake can lead to problems or disadvantages that mean we wish we had bought the real/official product. We are not saying do not buy fake or counterfeit, it is your decision, but we do not endorse it and always advise purchasing the real thing. 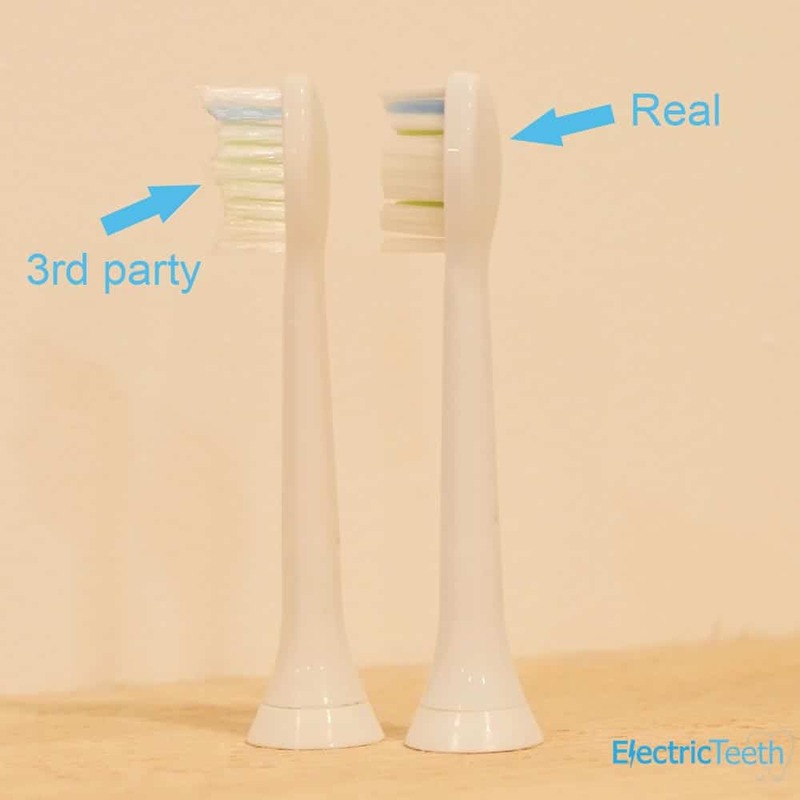 When it comes to your electric toothbrush and Phillips Sonicare replacement brush heads, DO NOT let yourself be led or fooled into purchasing a fake or replica – know the differences. 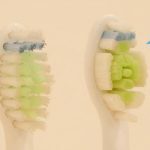 To try and help you know what you are looking for when it comes to buying a brush head for your Sonicare brush, we have put together some photos of genuine originals against some aftermarket brush heads. Actively shopping for fakes is not that easy and we are not claiming that the sellers of the heads shown in these photos are producing fakes. There are however a lot of similarities as well as some differences so the intention is to highlight these. The biggest difference between a fake and an aftermarket alternative is whether it shows the branding on it. An aftermarket head, not trying to be an original, will not have the Philips Sonicare logo on it. 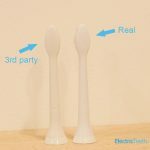 Please see the photos in this gallery, alongside the detailed instructions below, for assistance in spotting fake Sonicare brush heads. You can click on of the photos to see a larger version. Those who have mastered the fake/replica brush head will have got their production spot on and you would have no reason to actually question whether they are real or not. However, brands try to be one step ahead and if you know what to look for you might just protect yourself from lower grade products. Sadly, you often can’t complete the inspection of brush heads until you have purchased them and are in a position to open the packaging, but even then you might have grounds for return or wish to take action if you believe they are fake. Later in this post we list the differences between fakes and originals, but before we do, here are a couple of pointers to consider even before you make a purchase that may help you avoid falling victim to the counterfeit. Purchase from only a recognised and reputable store or online retailer. Do not purchase from Bob at the market or off eBay unless you are sure that what you are purchasing is the real deal or you are happy with you decision and happy to pay the price of using a copy or fake. Buy from big name stores, like Tesco, Sainsbury’s, Boots, Superdrug and Amazon (not third party sellers), have policies, and regulations that reduces the chances fakes or replicas being sold. These big name stores generally work direct with the real manufacturer. If the price is that much cheaper, there is likely a reason for it. If your local big named store is selling the brush head you want for £10 per pack but Geoff’s cosmetic market stall has the same product for just £5, question why. How is it there is such a price difference? How can Geoff sell it so much cheaper when it is normally the big name stores that can negotiate the discounts. If you are being offered more for less, there is likely a reason for it. Is there a 3rd party seller on Amazon or eBay offering your 20 brush heads for £20 when Amazon or a reputable eBay seller is selling just 8 for £20? If so, good chance they are fake as the production cost is less and it is possible to sell at this price whereas it is not for an original. Original Sonicare heads are normally sold in packs of 4, but packs of 2, 4, 6 and 8 do exist for some models. These are the typical pack sizes. Be wary of other odd number pack sizes, or those that do not come in an individual pack, as this could be an indication that they are fake. Consider the deal as a whole. Does the price, product, reviews all sound too good to be true and you seem to be getting the bargain of the century? It is usually an indicator that something is not quite right. 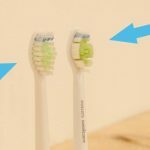 The following are a list of known differences between a genuine, Philips Sonicare manufactured brush head and counterfeit/fake/replica brush heads. PLEASE NOTE: The differences highlighted are only a guide and are designed to alert you to possible fakes. Detailed research has been completed and we understand the following to be very helpful in telling the difference. For confirmation of counterfeit products, speak to Philips Sonicare who can offer a more detailed explanation, insight and inspection of such. Not all fakes will exhibit these faults or flaws, but as a broader rule a fake or copy will show one or more of these identifiers. The writing on the packaging will usually be in English. This may vary if your country’s primary language is not English. Receiving packaging in any other language, particularly Chinese- if you are not in China, should act as a trigger for you to investigate further. 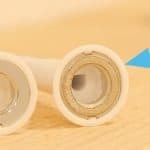 Is the plastic fairly sturdy or really flimsy? Is the packaging sealed and well aligned? Is the packaging plastic at the front adhered to cardboard on the back? Are printed materials clear and legible with strong ink colours? Originals will come in a hard blister pack plastic that you normally need a knife or scissors to cut into. Originals will come with an inner cardboard sleeve that had key information on it with Sonicare/Philips branding with strong colours and well printed. Quite often the original will come with some additional plastic cover on or over the head even inside the packaging, like a travel cap. The barcode for the item is on the cardboard inner sleeve, possibly in the form of a sticker, but is not attached on the outside. The brush heads is usually white in colour. An original is generally a brighter, gloss white plastic. A duller or muted white may be a sign of a fake. There will be no coloured ring (other than white) at the bottom of the brush head. The Philips Sonicare logo will not scratch off. The Sonicare logo on a fake brush head will often be lighter in colour and can be scratched off with a fingernail. On an original the grey/white paint will generally be darker in colour and should not scratch off with a fingernail. Under the branding is a square with a grey outline. A small circular and noticeable indentation on the back of the brush head shaft, about one third of the way to half the way up should be present on a real head. This should be a small impression, a deep impression may be a fake. A fake may have this lower down or in the impression may not be a circle. If there is a dot in the middle of the circle it could be a fake. Look at the base of the brush head, you will see a metal ring that adds strength to it. A real brush head is a duller silver/chrome metal with a serial/reference number that is visible. Fake brush heads may be finished with a more polished metal and no reference numbers on this metal part. Fake brush head bristles do not fade in colour. The brush head bristles will either not fade in colour at all or if it does it may take a long time to do so. An original will over a 3 month period will gradually get lighter in colour, with the colour remaining strongest, for the longest time at the bottom of the bristle. The colour fades from the top of the bristle down. The bristles on the brush head will be in tight clusters and appear richer and darker in colour on the real brush than the fake. Fake brush heads bristles will not evenly splay. All bristles will splay or not keep alignment perfectly after months of use. Original brush heads tend to splay or fray a lot less with only a few bristles normally falling out of line with the tight formation. If the bristles are all over the place and generally really messy, this is often a sign of a fake. Does the brush head clip securely onto the brush handle? Notice any wobbling or strange sound? Is it too tight and needs to be forced on? Originals will have a tight but simple fit with little movement in the brush head shaft. 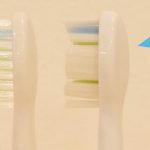 If you use the brush and find your teeth and gums become more sensitive as a result compared to previously used brush heads and nothing else in your routine has changed, this could be a sign of a fake. t is worth noting that there are companies and sellers be that in a high street store or online who will not claim to be selling genuine Sonicare brush heads, but will state them as compatible with Sonicare brushes. It is not right to suggest these are fake or counterfeit in that they are not claiming to be an original Sonicare manufactured product. However, a large percentage will have a packaging and physical product design that is very similar to an original with the intention of you purchasing instead of an original. Just be aware. You can find out more about purchasing third party alternative toothbrush heads in our article about them here. If you have concerns about any brush heads you may have purchased or be looking to purchase yourself, then it would be worth contacting Philips directly to make them aware and getting their opinion by calling: 0-20-79-79 49-49- 02-40. 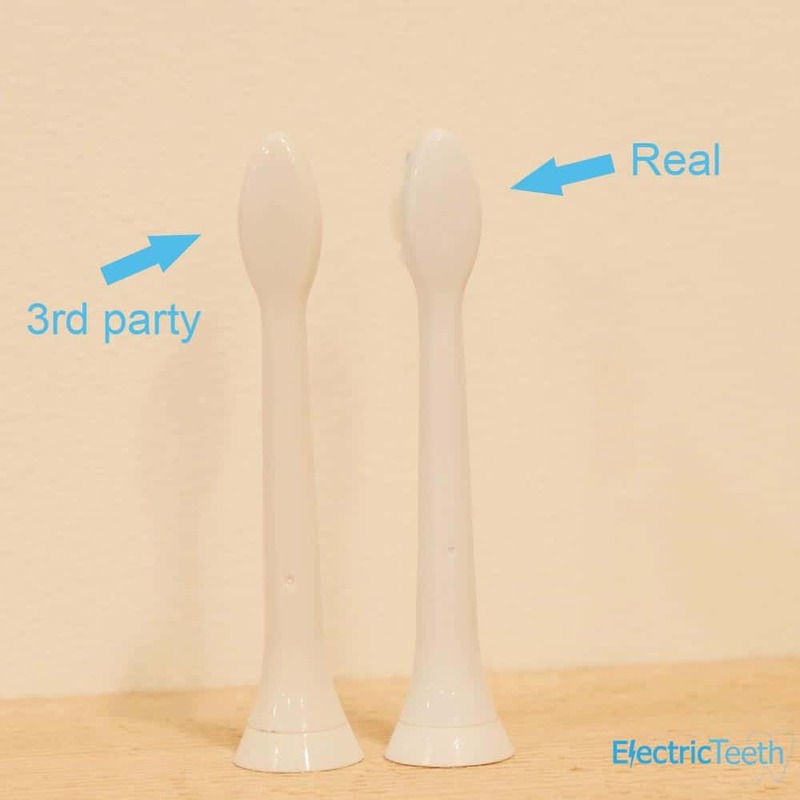 Have you been subject to fake or counterfeit brush heads for Sonicare electric toothbrushes? What did you find the conditions and features of the brush head to be like? Did they concur with some of the points listed above or did you find other differences? Please do leave your comments and feedback. The more detail we can obtain the more we can do together to help others become victims of such. I just ordered from ebay 4pcd for £14, packing looks original but head contains less brushes with different design. I ran into this same issue with my order from Amazon (seller: Dental Deals.). I first noticed that the Sonicare logo was blurred and the bristles were no where near at uniform as my original brush head, even with months of use. Requesting a refund from Amazon. Philips said there is nothing they can do. But recommended to buy directly from them, Best Buy, or Amazon directly (not 3rd party seller on Amazon). I just had the same experience buying from that same 3rd party seller. Everything was off about them. The package had 4 even though I ordered a 3 pack. Bristles were messy. Took more effort to slide on brush handle. The color and look of the head in general was just off. Luckily I requested a refund and it was approved right away. Just need to send them back first. Unfortunately Phillips no longer advertises the mini toothbrush heads that I need on their online site. An internet-bought substitute ruined my toothbrush & has left me looking for an alternative good electric or sonic toothbrush for a small mouth. Sorry to hear this Christine. Have you considered Oral-B and their small round brush heads?